"You are about to read a lot about dirt, which no one knows very much about." So begins the cult classic that brings mystery and magic to "that stuff that won't come off your collar." John Adams, Thomas Jefferson, Saint Phocas, Darwin, and Virgil parade through this thought-provoking work, taking their place next to the dung beetle, the compost heap, dowsing, historical farming, and the microscopic biota that till the soil. 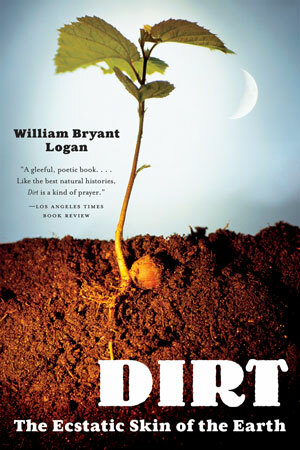 Whether William Bryant Logan is traversing the far reaches of the cosmos or plowing through our planet’s crust, his delightful, elegant, and surprisingly soulful meditations greatly enrich our concept of "dirt," that substance from which we all arise and to which we all must return.